From the Annals of the Revolution – In 1836, Col. James W. Fannin raised a flag over the mission at La Bahia in Goliad with the words “Liberty or Death”. Fannin, now generally regarded as an inept commander who had lost the confidence of his men, was prophetic in his announcement. Unfortunately for Fannin and his men it would by “Death.” In fairness to Fannin, he was facing Mexican General Jose de Urrea – by far the best of the Mexican commanders. If Urrea had been in command during the revolution, it is very likely to have been easily suppressed. Urrea’s forces were never defeated in battle during the war and remained ready to fight after the Battle of San Jacinto. 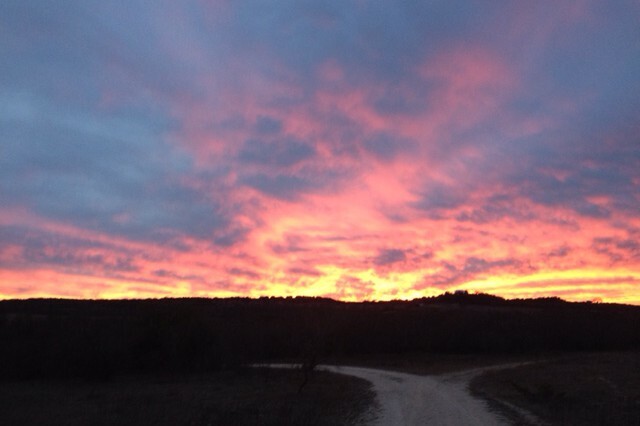 Fannin was originally ordered by Sam Houston to relieve the Alamo and then later ordered to retreat to Victoria. He delayed in his retreat and during that action he was cornered on open ground with limited supplies and forced to surrender. Held back at Goliad, Fannin and his men were massacred on the orders of Gen. Antonio Lopez de Santa Anna. Urrea strongly objected to executing prisoners of war, but the order was carried out by subordinates. Fannin was among the last to be shot. This entry was posted in Today in Texas History, Uncategorized and tagged Antonio Lopez de Santa Anna, Goliad, James W. Fannin, Jose de Urrea, Mexico, Sam Houston, Santa Anna, Texas Revolution on March 8, 2018 by Red from Texas. From the Annals of the Revolution – In 1836, about 340 Texians under the command of Col. James Fannin were executed by firing squad at La Bahia in Goliad. As rebels and “perfidious foreigners” according to Gen. Antonio Lopez de Santa Anna, the Mexican dictator had decreed that all those in arms against the Mexican government were to be treated as traitors. Most of those executed had been trying to escape the onslaught of Mexican forces under Gen. Jose de Urrea but had been surrounded on open ground without adequate supplies largely because of Fannin’s incompetence as a military leader. After the two-day Battle of Coleto, the men voted to surrender thinking they would be exiled to the U.S. Other prisoners had been captured in minor skirmishes with Urrea’s forces. After capture, Urrea, who had previously executed other prisoners he considered to be mercenaries, pleaded for clemency – but Santa Anna ordered the mass execution when Urrea was away from Goliad. The “Goliad Massacre” was carried out by Lt. Colonel José Nicolás de la Portilla – whose enthusiasm for the deadly work has been debated by historians. On Palm Sunday, Portilla had between 425 and 445 Texians marched out of the Mission in three columns on the Bexar Road, San Patricio Road, and the Victoria Road, between two rows of Mexican soldiers. The Texians were shot point blank, survivors were were hunted down and killed by gunfire, bayonet, or lance. About 30 men escaped by feigning death and another 20 or so were granted clemency to act as doctors, workers and interpreters. Another 75 men were marched to Matamoros for imprisonment. Remember Goliad – along with Remember the Alamo – became the rallying cry for the remaining Texian Army. March to the Massacre from the Texas State Historical Association. This entry was posted in Today in Texas History, Uncategorized and tagged Goliad, Goliad Massacre, James Fannin, Jose de Urrea, La Bahia Mission, Texas Revolution on March 27, 2017 by Red from Texas. 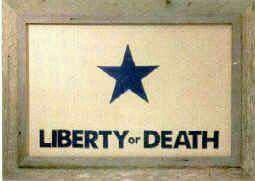 From the Annals of the War Slogans – In 1836, Col. James W. Fannin raised a flag over the La Bahia mission at Goliad with the words “Liberty or Death”. Fannin and his followers got death at the hands of Gen. Antonio Lopez de Santa Anna and against the express wishes of Gen. Jose de Urrea who pleaded for clemency and was outraged at the massacre. Some Texans ultimately got Liberty. Others remained slaves as one major focus of the Revolution was to protect the institution of slavery in Texas. This entry was posted in Today in Texas History, Uncategorized and tagged Antonio Lopez de Santa Anna, Goliad, James W. Fannin, Jose de Urrea, La Bahia, Texas History, Texas Revolution on March 8, 2017 by Red from Texas. From the Annals of the Little Known Battles – In 1835, one of the smaller engagements of the Texas Revolution occurred. The battle of Lipantitlán was fought on the east bank of the Nueces River in San Patricio County, directly across from Fort Lipantitlán. The Fort was one of the last two garrisons of Mexican troops remaining after the initial engagements of the revolution. Most of the Mexican forces had left the fort for operations in the field. While they were engaged elsewhere a Texian force of around seventy men from Goliad under the command of Capt.Ira J. Westover seized and dismantled the fort. The Mexican force of about ninety men under the command of Capt. Nicolás Rodríguez encountered the Texians as they were attempting to cross the rain-swollen Nueces River on their return to Goliad. The short battle lasted only about 30 minutes, but the Texian long rifles proved decisive in a longer distance fight against Mexican troops armed with close range muskets. The Mexican troops were forced to retreat with between 3 and 5 soldiers reportedly killed in action. The Texans reported only one relatively minor casualty. This entry was posted in Today in Texas History and tagged Fort Lipantitlan, Goliad, Ira Westover, Texas Battles, Texas History, Texas Revolution on November 4, 2015 by Red from Texas.